Today, people plan their vacations based off of what they see on Instagram more than ever. We can definitely attest to that statement. Our bucket list grows every day when we see inspiring photos of travel couples on Instagram. We love to be able to see how other travel couples on Instagram share their love for each other while also traveling. Whether they share inspirational travel quotes, majestic destinations, or creative and candid photos – these travel couples on Instagram are our peers and truly inspire us. In light of Valentine’s Day, we wanted to share our top 10 inspiring travel couples on Instagram that you should follow too! Some of these travel couples on Instagram have made it big time with a large following of over 100,000, while others are close behind growing their following rapidly – trust us, gaining followers is not an easy task. Each featured travel couple on Instagram is the epitome of relationship goals. Whether they work full-time or are nomads, they inspire both love and wanderlust to everyone by sharing each epic experience on Instagram while growing more in love. Trust us, after reading this post, you are going to fall in love with each travel couple on Instagram and your next romantic destination. About Them: Cecilia and Scott are two lovebirds wandering in search of life’s exciting adventures. They believe that adventure is not limited to daring thrill-seeking activities, but rather, it can be found anywhere and everywhere. When you look at the world with a lens of childlike curiosity and enthusiasm, everything suddenly becomes exciting! Signing up for bingo night at your local library, venturing into that hole-in-the-wall restaurant you were always too afraid to try, joining a Brazilian Jiu-Jitsu class, hopping in a car and seeing where the road takes you..literally anything can be an adventure. It is their mission to share their love for travel and new experiences with others in the hopes that they may venture out and discover their own great adventures. Why We Love Them: You can find Cecilia and Scott either smiling or laughing in almost every photo! Every caption they write on each photo captured will bring joy into your life and a smile to your face. They truly inspire us to laugh more and enjoy life to its fullest! Why You Should Follow this Travel Couple on Instagram: When you scroll through their gallery, you will be inspired to not only travel but to LOVE your partner and life more than ever. Life is too short and each post of theirs captures special moments they cherish. You have never seen a more happy travel couple on Instagram than Lovicarious. Their next adventures will be taking them to Jalisco, Mexico where they will be wandering through agave fields sampling Tequila and riding horseback through the coasts of Puerto Vallarta. About Them: Kody quit his job three years ago with the aspiration of traveling the world. After a year and a half traveling solo, he and Kelly crossed paths in Bocas del Toro, Panama. Kelly was on vacation between jobs but after meeting Kody, she never ended up taking her new position. With a shared love of adventure, self-exploration and firm belief in POSITIVITY, they continued onward together. Now, 16 months and 27 countries later, here they are, completely in love and spending every day exploring this beautiful world together. Why We Love Them: We are both hopeless romantics and their love story could go straight to Hollywood. These two lovebirds were meant to find each other to explore every hidden beach, cove and exotic destination together. Every time we see their new post, we want to fly to the nearest beach with the bluest waters. Why You Should Follow this Travel Couple on Instagram: They will not only inspire wanderlust and love, but they will also inspire you to always be beach body ready. Their photos are so vibrant with both color and life, you will need sunglasses just to view them. In all seriousness, they truly spread positivity in every photo and caption. Their positive outlook in life is the perfect reason why you should be following this travel couple on Instagram because we all need a daily reminder to stay positive! About Them: Jing and Aquilla are from Malaysia and Indonesia. It was love at first sight for them when they met in September 2013. They met in Perth, Australia where they are also currently based. They got married in October 2016 and started traveling more frequently soon after marriage. During this same time, they decided they wanted a change in life and chose to pursue their passions and dreams. So they started their own business. Now they are proud to say, they have their very own photography and film-making business. They absolutely love traveling! They travel because they feel a sense of freedom like no other. Being in a different country/city, trying different delicious cuisines, meeting new people and learning about different cultures really fulfills their hungry souls. All of these experiences open their hearts and allow them to grow both individually and together. Why We Love Them: We take an annual honeymoon every year, but Jing and Aquilla make every trip feel like their honeymoon. They continuously keep their love and romance alive whether it is a road trip a few hours from home or a trip halfway across the world. They remind us to enjoy every moment and to make every trip no matter how big or small, once-in-a-lifetime. Why You Should Follow this Travel Couple on Instagram: Every photo they capture is either dramatic, romantic, fun or beautiful. They have a wide range of different styles that all fit their creative travel couple niche. For those who are craving a trip to Australia, following this travel couple on Instagram will help inspire you to book that ticket. They do several road trips around Perth that can fulfill your Australian outback wanderlust. Or if you crave a Southeast Asia and island hopping adventures, they will be going to Bali, Lombok, Gili Air, Gili Meno, Nusa Lembongan, and Nusa Penida. About Them: Erika and Marco are a married Ecuadorian\German travel couple. They met during Marco’s backpacking trip through Latin America where they instantly fell in love with each other (aww). They truly enjoy traveling because of the freedom it provides. They love to decide where they want to be and what they want to do without external influences (with the exception of some visa restrictions). To name a few of the many destinations they have visited: Uganda, Kenya, Sri Lanka, Myanmar, Thailand, Indonesia, Philippines, Vietnam, Nepal, India and more. Why We Love Them: As travel influencers, we have to be aware of sharing places that are considered over-tourism and Erika and Marco do just that. They show us not only some popular destinations, but they also show more of the unique and undiscovered destinations/countries such as Sudan. Why You Should Follow this Travel Couple on Instagram: When you scroll through their gallery, you will find it vibrant in not only color and unique destinations, but also fun and love! With one simple click, they capture some of the most beautiful moments. They also give followers an inside look at their travel life through videos that can be found in their stories. Furthermore, they share incredible tips to make the traveling process easier for others. You can find some of their tidbits on their Instagram, but more detailed tips on their blog. And even though they have already been on the road for 14 months, their journey is not ending anytime soon. So make sure you follow them on Instagram to catch their next adventures! About Them: Jack and Becky are a traveling couple from the UK. They quit their jobs to travel the world and after 15 months full of adventures, they don’t plan to ever stop! They love being able to explore new places, see new sights, experience new thoughts, try new food and meet new people – anything NEW! Rarely a day goes by when they do not experience an element of fun or excitement. They love to be able to keep their minds fresh and their souls happy. Why We Love Them: They not only have a great sense of love and adventure, but also humor! We love dad jokes, so we were ecstatic to find Jack and Becky do too. They include dad jokes, bad jokes and a ton of puns into their captions. With that said, traveling is really not as easy as people think. So we really love how light-hearted Jack and Becky are in their Instagram posts. Life is too short not to enjoy every moment and they truly make every second count. Why You Should Follow this Travel Couple on Instagram: Their photos and captions will always bring a smile to your face. The captions are so fantastic, they could probably make a living writing the best greeting cards. Yes, they are romantic but more importantly, they showcase that it is okay to be yourself and to be silly! Currently, they are living and traveling in Thailand for 1-2 months because they love the abundance of spicy food. Then they will be making their way to Malaysia and Indonesia. So make sure you are following them for their upcoming adventures because they will be filled with love and happiness! About Them: Raquel and Miguel met each other at a club in Algarve, but were only able to communicate via Instagram for an entire year – talk about a true travel couple on Instagram. After one year they were able to meet each other again and the rest is history. In less than a month, they moved in together in Portugal but shortly after, Raquel moved to Spain to study. During Raquel’s studies, they did a long distance relationship for 6 months. during that time they were able to meet each other in different cities – Marrakech, Barcelona, Venice, Milan, Paris and Frankfurt. Now they are together 24/7 because they quit their jobs and bought a one-way ticket to India to continue their love and wanderlust. Why We Love Them: They have an incredible and creative gallery. It is mixed with love, fun, beauty and romance. One of the most unique qualities they have that makes them stand out as a traveling couple on Instagram is their slide posts. You can find fun little videos that relate to their photo in either a still frame or inside a Polaroid frame. Moreover, all of their photos are so magical, they belong in a fairytale. Why You Should Follow this Travel Couple on Instagram: Raquel and Miguel take their romance and travel couple on Instagram niche to the next level! You will find plenty of photos that incorporate new moves to try with your loved one. When we say moves, we mean some upside-down yoga, kissing poses. They are definitely one of the most creative, artistic and unique travel couples on Instagram, which is why you need to follow them! Currently, they are working their way through Southeast Asia where they will continue to take the most epic and dramatic photos you can find. About Them: Lena and Bassam are not only a married travel couple, but also high school sweethearts living in Southern California. Through their blog and Instagram, they share their journey of finding adventure in everyday life. They truly believe that no matter how busy or how hard life gets, there is always something fun and positive to be found. A few beautiful destinations they have traveled to include France, Italy, Aruba, Costa Rica, Jordan, Lebanon, Columbia and plenty of states across the US. Why We Love Them: Since day one of entering the travel couples on Instagram niche, we have followed Lena and Bassam because they are full of love and inspiration inside and out. As a woman, I love when Lena speaks from the heart about her relationship with Bassam. I truly feel connected to the stories they share with their audience because I realize Adam and I have a similar relationship. So in addition to inspiring travel, they also inspire (travel) couples on Instagram to continually work on their relationship. Why You Should Follow this Travel Couple on Instagram: They are true to themselves and open about sharing their love for each other in addition to traveling – we need more positive people like them. Each post they share is pure LOVE and full of LIFE! They are also a simple reminder that you do not need to travel far for a great adventure or romantic experience. You will find great tips and ideas on how to spice up your relationship with date nights just around the corner. Furthermore, one of the best aspects of following Lena and Bassam is an inside look of their everyday life and honest Instagram stories. You can find amazing tips on how to stay positive through the toughest times, healthy recipes, honest relationship building topics, book recommendations and more! About Them: Sion and Ben are a married couple from the UK who left permanently in January 2018 to pursue their love of travel. They set up The Globetrotter Guys to document the BEST in gay travel and adventure. Unfortunately, traveling as a gay couple has its extra challenges and they want to share these with their readers to keep them informed and safe! Why We Love Them: Sion and Ben are not only an inspiring travel couple on Instagram, but they are also changing the status quo for gay travelers. They also inspire us to pursue our love for traveling more often instead of getting stuck working all the time. In such a short period of time, they have been able to experience so much adventure in countless countries over the world. Why You Should Follow this Travel Couple on Instagram: They both look great in Speedos! Moreover, their entire gallery is full of love, color and beautiful destinations. They show their audience that ANYONE and EVERYONE can travel and fulfill their dreams. After a full year of travel, they are not slowing down anytime soon. Next on their agenda is living in South Africa for 3 months before moving onto Slovenia, Spain, Italy and Greece! So rest assured, it will be a great year of travel for them and the perfect time to start following their journey. About Them: Mikkel & Camilla are in their late twenties that have been together for “only” two years. Camilla is a nurse and Mikkel is a marketing student and they do not let their full-time jobs interfere with traveling the world. Their travel lust started from the very start of their relationship. After just two months, Camilla asked Mikkel if he would join a family vacation to Thailand for two weeks. That vacation settled it all because since then they have never looked back! Why We Love Them: When we learned about Mikkel and Camilla, we realized that we had a lot in common with this amazing travel couple on Instagram. They quickly fell in love and shared the same bucket list goals they wanted to pursue before settling down. Like us, they also started Instagram just for fun to share with family and friends. Now they love it and want to inspire other travelers and couples to get the best out of their vacations. They inspire others by not only their posts, but by being informative on their Instagram stories on where they explore, how they achieve it, their ups and downs, what to do different and more. Why You Should Follow this Travel Couple on Instagram: As mentioned, they truly inspire others by giving detailed information on their posts and stories to help others achieve their travel goals. In addition to inspiring traveling, they also inspire love, fun and adventure! You can see it in every photo captured that they are having the time of their life and love each other with every bone in their body. Their most recent posts have been from their current trip to Australia, New Zealand, Fiji and the Philippines. Now they are working their way through Southeast Asia and plan to explore Europe to share more dreamy destinations that will inspire the inner traveler in everyone. About Them: Bram and Manon have been together for 8 and a half years and have been traveling together for half of that time. As their account name states, they love flip-flop weather and have the desire to always take their flip-flops off the beaten path. They are very passionate about photography and enjoy sharing their passion and love for traveling through their Instagram and blog. Furthermore, they really enjoy traveling slowly because it is not about the number of countries that count, but getting to know the destination in its entirety. Which is why they lived in a small van together and absolutely loved it during their full year in New Zealand. Why We Love Them: Their gallery is so diverse! You never know what destination they will be posting next. We love their variety of creative photos and unique destinations. From mountains and outdoor adventures to beautiful temples and feet in the sand – they truly inspire us to take our time to see the world! Why You Should Follow this Travel Couple on Instagram: When you scroll through their gallery, you will be amazed at all of the places they have been able to experience together. They will inspire every inch of your body to pack your bags and go. Currently, you can follow them on their second worldwide trip where they will be traveling throughout Southeast Asia. They do a great job of continuously posting on their Instagram story so you can feel a part of their journey while you work on planning out your own. Furthermore, if you love their gallery as much as we do, you can purchase their professional presets. We hope you have been inspired to start following one of these amazing travel couples on Instagram. Of course, we would love for you to follow us on our adventures too! If you already follow us, THANK YOU! 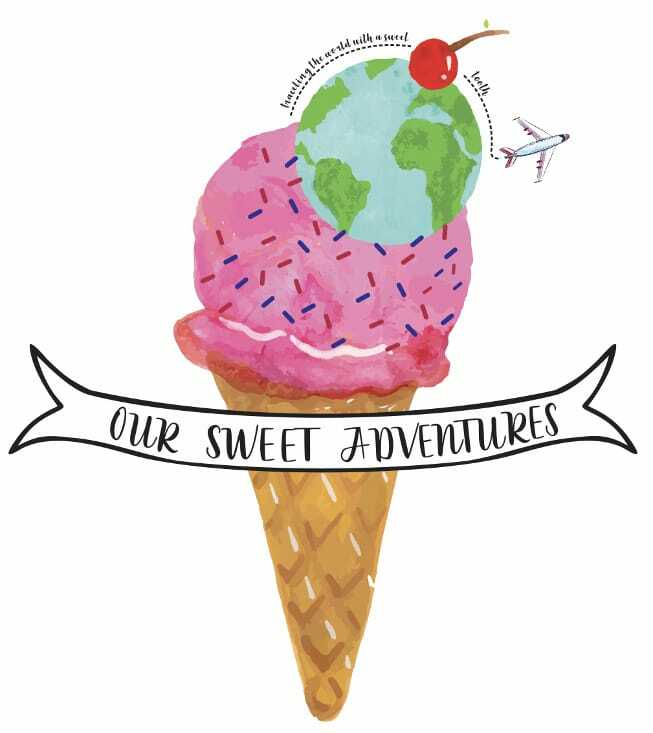 We are still planning out our trips for this year, but hope you will follow us on all of “our sweet adventures”! These couple accounts truly are inspiring. It’s great to see so many other couples out there living life to the fullest! We have to live while we can. Go out and experience the world while you can. Oooh I have some new accounts to check out now, thank you! They are really great at what they do! Inspiring to us as well! We are Jane & Fredrik aka Sticks & Spoons. Two Foodies and Bon Vivants Travelling a World of Food Gathering Stories. Hi guys! Nice to meet y’all. We just started following your foodie adventures on Instagram. Keep up the inspiring work! Those are my favorite types of accounts to follow. Our favorite too. I hope you enjoy following all of the travel couples!